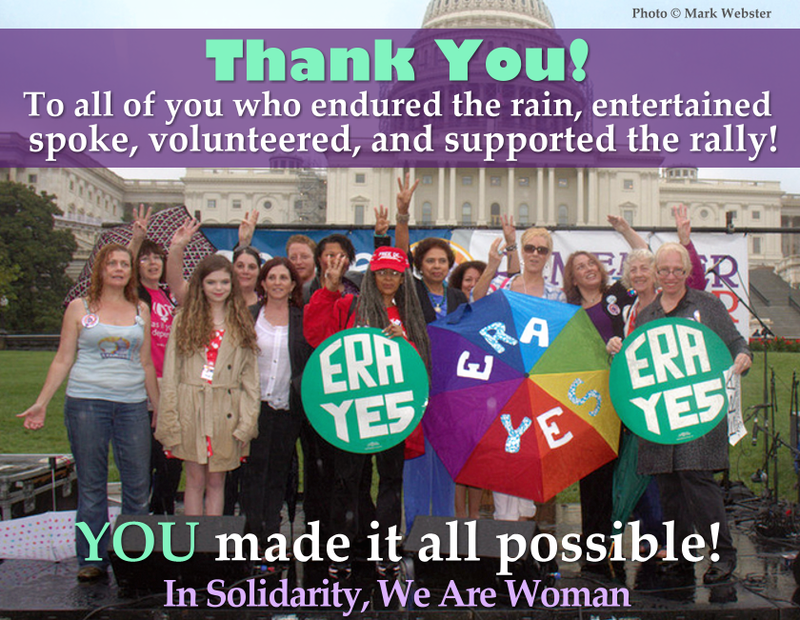 There are so many people to thank... We are grateful to each and every one of you, activists, rally participants, speakers, entertainers, volunteers and donors. We also really appreciate that so many of you stood out in the rain to rally for a cause that is so vital to the future and to our rights. Thank you!